Total of 15 general packs, although one of them was actually some free stuff instead. Images didn't have year, but there aren't that many overlapping ones so you probably can order them still. Total of 15 general packs, although one of them was actually some free stuff instead. So it's 13 general packs actually, right? There are 14 pics, and 1 is "Happy 2018". And that would amount to 1 general promo a month. Images are http://image4test.castleagegame.com/...k_season_1.png with running count, currently at 15. Seems I missed #8, which is Chinese New Year banner. 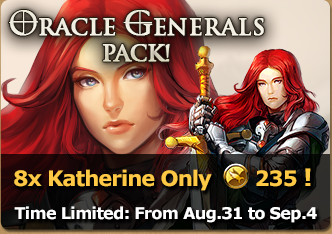 Which makes for 13 general packs indeed. Like, would you be able to find any banner for any past event or promo (if you didn't save the link for one of them to begin with)? That would have been super useful for me when I created the Events Rotation page. So they probably just replace the image at this link with the updated date for a new event, so I wouldn't be able to find past events dates this way. Last edited by gogoo; 10-20-2018 at 07:38 PM. You can try to guess. Sometimes works, most of the time doesn't. Events that repeat may have base image that is just edited as needed (eg. date included in image, base image gets new date overlaid and result replaces old image) as the events are kind of in the background even when not linked from interface. Pre-gaea promo images didn't have dates on them and were reused as is. There are people who have more CA images and links saved than I do. Because I haven't consistently saved every new link I find… But I do have quite many too. How many points do you get per task completed? I think it's smth like 20 points for a top row task (all of them, no differences?) and 40-80-120 points for monsters tasks, but I'm not sure. Does fully completing a Campaign give extra points? Do different Campaign difficulties give different amounts of points per task? 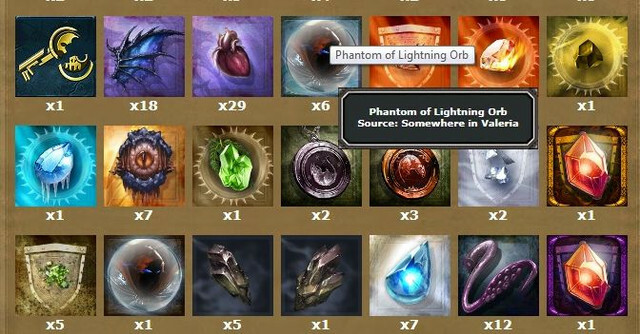 Also, I was wondering where I can see how many Phantom Orbs I have. I've looked in Alchemy Ingredients, Equipment, Magic... No chance. Last edited by Barathor; 10-31-2018 at 06:52 PM. I think same as shards. You get 1040 summon points for completing Hard campaign. 6*60=360 from top row, 100+120+160=380 from monsters, 300 from collecting. Ok thx, makes sense. Edited the wiki.